The combination of these methods allows engineering students from a variety of disciplines to comprehend and compare the attributes of each. 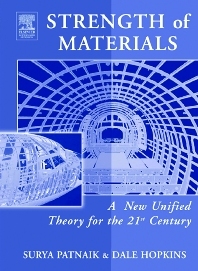 The concept that IFM strength of materials theory is problem independent, and can be easily generalized for solving difficult problems in linear, nonlinear, and dynamic regimes is focused upon. Discussion of the theory is limited to simple linear analysis problems suitable for an undergraduate course in strength of materials.